Mar. 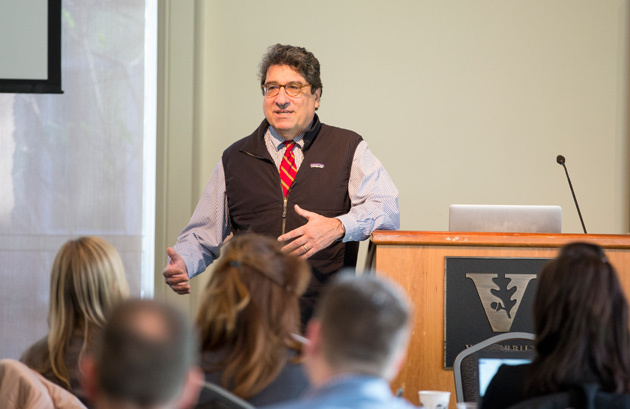 14, 2018—Chancellor Nicholas S. Zeppos spoke to the University Staff Advisory Council on March 13, saluting the nearly 4,500 staff members for their role in Vanderbilt's upward trajectory. 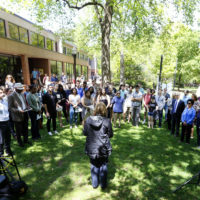 Feb. 1, 2018—Integral to Vanderbilt's mission of teaching, discovery and service is its staff, a remarkably diverse and talented team of 4,200 people. 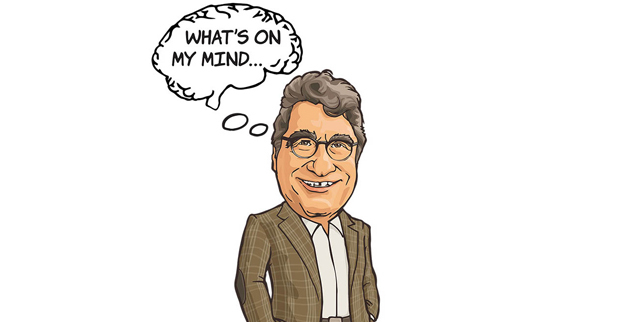 Chancellor Nicholas S. Zeppos recognizes the recent winners of the university's highest staff honors and all those who make the institution great in this week's edition of "What's On My Mind." 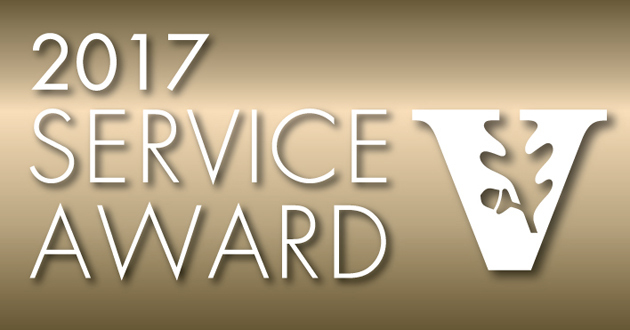 Jan. 31, 2018—Two Vanderbilt University staff members received the 2017 Commodore Award, and the inaugural Equity, Diversity and Inclusion Distinguished Leadership Award was handed out at the annual Service Award Ceremony Tuesday at the Student Life Center. 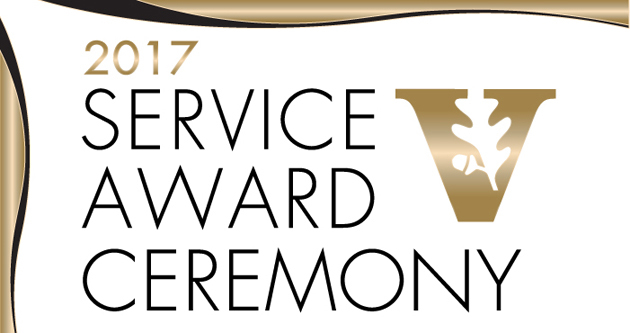 Jan. 15, 2018—Vanderbilt University’s annual Service Award Ceremony recognizes employees who celebrated significant service milestones in 2017. You can share in the fun and congratulate your colleagues on their accomplishments by attending this year’s ceremony on Tuesday, Jan. 30, at the Student Life Center. 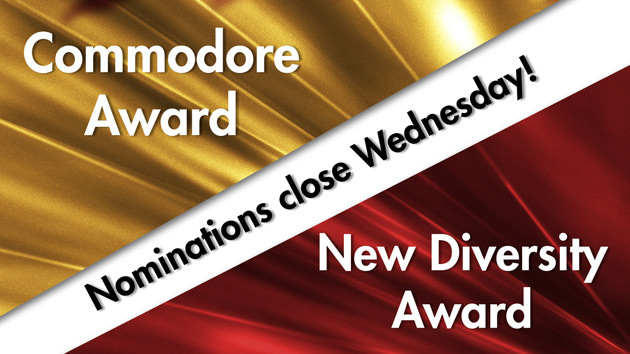 Nov. 10, 2017—The deadline to submit nominations for the 2017 Commodore Award, Vanderbilt University’s highest staff honor, and the inaugural Equity, Diversity and Inclusion Distinguished Leadership Award is this Wednesday, Nov. 15. Nov. 3, 2017—Vanderbilt is filled with staff who are dedicated not only to their work, but also to making the university a better, more inclusive community. 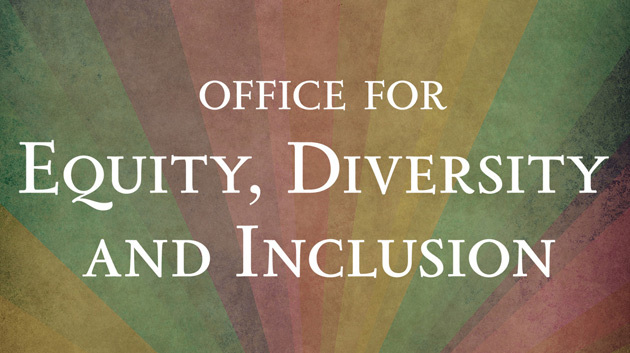 The Office for Equity, Diversity and Inclusion wants to recognize these dedicated staff members in a significant way.